flash exposure is controlled by aperture. While these are true, there’s also an over-simplification happening here. Just rallying those two statements in a perfunctory manner, we actually lose understanding of how flash and ambient exposures actually inter-relate. The problem with the first statement is that it disregards that aperture and ISO both control ambient exposure as well. – flash exposure is controlled by aperture – but only for manual flash. – ISO also affects manual flash exposure. – aperture / ISO / distance (light source to subject) / power of our light. ** The exception, or complication if you will, is that if you go to high-speed flash sync, shutter speed becomes a linear control of the flash exposure. But we’ll leave that aside now, to focus on the explanation of how TTL flash and manual flash differ. As explained in more detail in this article – with manual flash, we control those four factors. With TTL flash, the camera changes the power as we change any of the other three variables. This means that the camera will adjust our flash exposure as we change those settings. It is essential to understand this specific difference between TTL flash and manual flash – it changes things a little. Actually, things change a lot, since how the exposure is controlled for manual flash and TTL flash are now entirely different. This affects how we control our flash exposure – and this is where I feel the axiom that the simplified axiom that “aperture controls flash exposure”, becomes misleading. Restating all this again – with TTL flash, your camera and flash work together to control /calculate flash exposure … and then adjust the power the flash emits, to give you (what it deems to be) correct flash exposure … regardless of your choice of aperture, or your choice of ISO, or the distance of your flash to the subject. Of course, these things have to be within reason. You have to work within the capabilities of your flash. Let’s see how this works. Here are two images that I used in my book on flash photography techniques, and I’d like to use them with a slightly different take. – and we have flash exposure to consider for our subject, Jackie, who would be under-exposed if we didn’t add additional light. Ambient exposure for the background – shutter speed, aperture and ISO. Simple enough. Flash to light our subject – the settings will depend on whether we are using manual flash or TTL flash. As mentioned, if I had used manual flash here (for example with a softbox), then I would have to meter my manual flash for the specific aperture and ISO and distance and power setting of my flash. And then juggle those four things to give me correct exposure as metered with a flashmeter. But in this case, I used TTL flash that I bounced over my left shoulder into the room. And I purposely set out to use TTL flash here in a way to illustrate this point: With TTL flash, aperture effectively becomes transparent. For photographers who are familiar with manual flash, this distinction might seem of small importance – sure, TTL flash is an automatic metering of the flash. Seems simple enough. 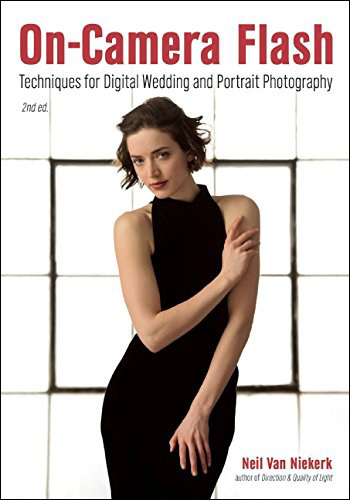 Let’s say you are photographing people at an event – it could be a bride during her preparation, or it could be guests at the cocktail hour of a corporate event. Same thought-process. You are using bounce flash in TTL mode, because bounce flash easily gives you soft diffuse light .. and bounce flash is usually quicker in TTL mode as you move around the room. Now, for some reason, your TTL flash exposure is suddenly incorrect. Let’s say the black evening dresses are throwing off your TTL metering, causing your flash to over-expose. Having memorized that “aperture controls flash”, you dial camera from f/4 to f/5.6 because that, according to How Things Work, is how you pull the flash exposure down. Except it doesn’t this time. It doesn’t work that way with TTL flash – because, with TTL flash, the aperture becomes “transparent” to the flash exposure. Instead, you need to dial your Flash Exposure Compensation (FEC), because that is now the way you control your flash exposure. Not the aperture. The FEC. It might seem a trivial distinction to some, but from experience, I know that this throws newer photographers entirely – they want to adjust the aperture, because that is what they’ve been taught. In this way it becomes an important to fully understand how TTL flash and manual flash differ – and how to control either. You’ll be a stronger photographer if you’re able to handle either of those two flash modes unhesitatingly. Let’s look at my choice of exposure settings for those two images – traditionally, if we wanted our background darker while using flash to light our subject, we would change our shutter speed. Normally I too would’ve changed my shutter speed from 1/125th to 1/250th before I would’ve made any changes to aperture or ISO. That would gain me a stop already on my background exposure, without my flash having to work harder. It absolutely makes sense to change shutter speed first to change ambient exposure, before changing any other exposure control. But in this example, I willfully went the other way. I kept my shutter speed constant .. and changed my aperture. Now, if this had been manual flash, I would’ve had to change my ISO or bring up the power on my flash or bring the flash closer to my subject to compensate for the change in aperture. But with TTL flash, the flash and camera calculated the exposure it thought I needed, and automatically compensated for the change in aperture. I did not have to change anything. My camera and flash did. I did have my flash exposure compensation set to +1.0 EV for every image in the extended sequence. Sure, the flash had to work much harder. In fact, it had to dump 4x the amount of light at f5.6 as it had at f2.8 … but my exposure remains the same. And this is the reason why even with TTL flash, we’d rather change the shutter speed first to affect our ambient exposure .. even if we don’t “have to” like we would “have to”‘ with manual flash. And as you can clearly see, in changing our aperture, our background exposure changed. So back to those two axioms about flash, but this time in regard to using TTL flash exposure as I had in this sequence. flash exposure was NOT controlled by aperture in this instance. My sincere belief with this is that if we can completely understand how flash and ambient exposures inter-relate, we will … well, we will have exactly that .. complete understanding of how flash and ambient exposures inter-relate. Shutter speed controls background exposure? Except the exposure on your model HAS changed as well… At f/2.8 there’s significantly more shadow detail exposure. Jesse .. in that image, by going to 1/125th @ f2.8 @ 800 ISO, we are seeing the effect of the ambient light starting to creep in, compared to the other image with a 2 stop difference in ambient exposure. That is then what you see there as more shadow detail on the model in the areas not lit just by flash. The explanation and logic behind this comparison between TTL flash and manual flash still stands though. And you can clearly see that changing the aperture didn’t change the flash exposure, but did in fact change the ambient exposure. And this runs counter to the commonly accepted idea that “aperture controls flash exposure” .. which is entirely true for manual flash, but falls apart for TTL flash. If you’d like to read the entire section again, but in relation to these images, where the ambient exposure on our model has less effect, then you see the description (still) holds up. The point is that TTL is great for giving the photographer the greatest versatility in a shoot. So who makes the best radio wizards that can extend that TTL function over distance and non line of sight. Especially for the 580ex which is noisy? Lafayette .. The Canon 580EX II speedlight emits radio-frequency noise which interferes with the TT5 and TT1 Pocket Wizards, which are wireless-TTL capable. This severely hampers the range and functioning of the 580EX with the new Pocket Wizards. I think the point Neil is trying to make here is that just blindly following certian notions about flash photography without actually understanding all of the concepts can limit one’s understanding and capablilities. It is like trying to memorize material without really understanding it. THe post makes perfect sense and shows simply that TTL technology allows for more flexibilty since it takes care of the exposure on your subject within flash range. It may not be as predictable as manual flash, but when you are on the fly it takes a lot of the guess work out of the equation and as long as you are wihtin the limits of the flash then you can ride your FEC. All Neil did was to stop the lens down and this changes the amount of ambient light but TTL took care of producing correct exposure on the model but rendered the background darker since there was less ambient light registering. Hence, the aperture was irrelavent in this situation using TTL. Bigmouth, if this is indeed akin to beating a dead horse, then the topic would’ve been discussed to the point where everyone actually does truly get it ..
Aperture controls manual flash AND ambient exposure. This is the specific point of this post – that I changed my ambient exposure by changing my aperture. And not my shutter speed as is commonly done or accepted. What I did there runs counter to everything you’ve ever been told about how flash works. It’s been drummed into us that shutter speed controls available light. And it does! BUT .. it is NOT the only control for ambient light. We have to, have to, have to keep that in mind. And the moment that I use TTL flash, my choice of aperture and ISO effectively becomes transparent to my flash exposure .. and now I’m able use aperture and ISO as my controls for ambient exposure. I can change my ambient exposure at will by changing my aperture (or ISO), without affecting flash exposure. Understanding this aspect of TTL flash will open a whole range of options to you in balancing flash and ambient light. I think Bigmouth just doesnt understand completely how TTL makes a photographers job easier and quicker when in a hurry or on the move. I have the perfect scenario that happened to me on a job. Job was shoot Basketball Individual team photos for High School. Now. I was using 2 strobe heads w/umbrella’s. I placed them at center court so that the back wall was the backdrop….had school logo and panther that yearbook staff wanted in image. It was so large, placing my subject at midcourt was nesc. so that the relative size would work and get the whole Panther and name in image. Now, I had set ISO400 and a must f5.6 in order for the backdrop to be sharp…..or sharp enough. Shutter speed was 1/100. Background too dark. Just drop shutter speed right….but I was already at 1/100. Well….using manual flash….this is correct, shutter speed was my independent control for background(or ambient). Heres where TTL would have been more helpful. At my original settings 1/100 f5.6 ISO400, subject exposed perfect, background almost like cave. In TTL, all I have to do is bump up the ISO, and whala, that same 1/100 @ ISO400 is now recording twice the background light at ISO800 and I didnt even have to take my eye away from the viewfinder. Why? Because the camera and TTL looked at my new setting 1/100 f5.6 “ISO800” and varied the flash to give proper exposure….without the need to move flash around, move power around etc. I think people forget, while yes, aperture controls manual flash exposure, it still also affects the ambient in that very scene as well. In studio settings, where a background is lit, its really not much problem. But in my situation, it was. When I walk up to a scene to shoot my subject, I set my aperture for the effect I want…or DOF I “need”, I then set my shutter speed at the proper setting at the lowest possible ISO I can, going up only if more shutter speed is needed. With that set and usually 1 stop underexposed, I just flip on my flash and add flash to my subject to reveal them. If my flash cant expose for whatever reason, then I start jockeying around with aperture and ISO to help. With manual flash, I do the same thing, but I have to play with flash power/position to expose my subject properly…..where TTL does this for me. I understand and agree with Neils opinion here on understanding all the aspects of exposure but disagree daily with photographers scenarios on why TTL is so important.. If you walk into a gym to photograph a team you should have ambient exposure in one second for that gym..You should know your shutter and aperture before you even arrive at gym..You know what you were hired for and have done group shots before..Very little variance here…That being said all you have to do as a photographer is get a manual power setting on your flash.With proper homework and skill you should have that in one minute.. This type of dialogue is fantastic for anyone that is truly trying to learn how to use today’s lighting systems. My objective this year was to learn lighting both on and off camera. This website has been one of my main go to information centers. Keep up the good work. Intelligent, concise and informative. Neil, if you “had to” keep the same shutter speed and the same aperture for both pics, what would be your other options to bring the same results? 1. could the change of the ISO do it? 2. Dialing a minus EV (to register the background) and adding more flash could eventually (with some trial and error) bring you in the same ballpark? By the way I just received your book and I ll start reading on the weekend. Thanks for helping. Mikos, a change in ISO would have achieved the same effect – the ambient exposure would be affected, but the TTL flash exposure would’ve appeared the same. Changing the exposure compensation would do something else though. If you are talking about the flash exposure compensation, then the flash would go darker or brighter, but the ambient exposure would remain the same. This is an outcome we don’t want here. If you are talking about overall compensation, and Canon cameras .. you can’t set exposure comp withe the camera in manual metering mode. However, if you are talking about Nikon cameras and overall exp comp, then your TTL flash exposure will be affected, but not your ambient exposure. This is due to you shooting in manual exposure mode here. With the scenario as shown above, you wouldn’t shoot in an auto exposure mode. The reason for this is that we need to set our camera to expose for the background. And this is only realistic here if we shoot in manual exposure mode. Our model, who would be completely shaded / under-exposed without flash, fills too much of the frame for us to get a sensible exposure for the background with that composition there. Neil thanks for your detailed response. It is very clear. When I said to minus the exposure compensation and then dial up the flash power I was thinking aperture priority mode (in nikon and in TTL). At least this what I do for flash portraits in the sunset. Maybe it can work here too. Maybe not the scope of this article though. Thanks agAin. Just wondering why you did change the aperture instead of shutter speed. Is there any benefit in doing this other then DOF? Would it not be more beneficial in most situations to raise the shutter speed reducing camera shake (not that it’s much a problem at 1/125)? mcjobbie .. As I mentioned there, normally you would think of changing your shutter speed first to affect the ambient exposure. That’s the common sense way of doing it. Also, as mentioned in several articles throughout this website, I quite often work at maximum sync speed for specific reasons. So if this had been an actual portrait session, I would most likely have started at 1/250th shutter speed. The reason why I went about this the way I did here … by changing my aperture first of all, was to explain how my choice of settings affects TTL flash .. or not. I wanted to show how the aperture didn’t have an effect on TTL flash exposure. And for that, I needed to change my aperture and not the shutter speed. Understanding this “side-effect” of TTL flash, comes strongly into play in expanding the ways of bringing in the ambient light into photos where you use flash as the dominant source of light. Instead of “dragging the shutter” in the classic way to bring in the ambient light, we have the freedom now with TTL flash to also adjust our aperture and ISO at will to adjust our available light … without affecting our (TTL) flash exposure. So back to your question .. the way I did it here was purely as an explanation of TTL flash. The wonders of TTL. Truly amazing in its ability to pick up the slack in a quick shoot situation! But the aperture DOES influence the effect of the flash. You yourself said that when you closed the aperture the flash had to pump out more light. Just because the overall exposure on the subect is the same and that the flash automatically compensated, doesn’t mean that there was no effect. By the same logic, I could say that aperture has no effect on shutter speed because I can set my camera to Aperture prority and change the aperture and yet the exposure remains the same. Tiberius .. there definitely has to be something that had to change in the way that ISO / aperture / distance / power, is balanced. If one value there changes, then another has to change to compensate. It works like that with manual flash. With TTL flash some of the effort is removed, in that the camera and flash will now conspire to give us correct exposure by adjusting the power as I change aperture and ISO. So definitely, the flash will have to dump a lot more light at f5.6 than it had to at f2.8 to maintain correct exposure. That is clearly stated in the original article. But the side-effet of this is an interesting one, and is the entire point of this article … is that all of this means that aperture (and ISO) effectively becomes transparent to us when we use TTL flash. Your simile though falls apart … since your shutter speed did in fact change. I think we are splitting hairs here.. Neil was speaking of TTL in terms of exposure not flash power. Of course changing the aperture will cause the flash to work harder and effect flash range, recycle time etc.. that was not the point. THe point is that TTL took care of the exposure for the model without you having to jugle other values to compensate for the aperture change like you would have to using manual flash. I believe that it is useful to know those two axioms, even with TTL. As you said, it is important to understand what happens. I think understanding the manual flash first is needed to combine flash and ambient light successfully. After you get the concept of the very short flash duration, it is easier to understand how all these settings affect the light. For example, why your setting above do not work outside at bright light and what to do? Like the most “rule of the thumbs”, also these two statements give help to some situation, and when you master it, you can start to “break the rules”. TTL can be used to help at all these steps, but can you progress only with it? Rinne … I would entirely agree. You can only be a stronger photographer if you try to completely understand how manual flash works, and how TTL flash works … and how they relate. Or don’t relate. Simply using TTL flash all the time with no thought, would be like using your camera in Program mode all the time. This is fantastic post, making a good argument, which is very valid. I also liked all the healthy argument about it. Which make this more interesting. I am learning a lot of techniques which would have taken a newbie like me ages to know let alone understand. As you suggested on one of my earlier post I have invested on a speedlight rather than another lens for now. And thoroughly enjoying it. Thanks for it. Great article but I have to disagree with your statement “flash exposure was NOT controlled by aperture in this instance”. You even said that the flash power emitted was four times as powerful in the f/5.6 shot to the f/2.8 shot – doubling with each stop the exposure was dropped. If the flash power had stayed the same your subject would have been underexposed by two stops. The only reason the background has gone darker is because it is either unaffected or only affected a little by the flash light. And as you’ve dropped the ambient exposure by two stops the background has gone darker. If your subject had been standing against the wall its relative tonality would have remained unaffected. What you’ve really demonstrated is that it is possible to change the ratio between flash and background ambient using aperture with TTL. But this is only because the flash light is not affecting the background. The flashlight has changed to compensate for exposure changes on your camera – that’s all. This may just be over complicating the situation for many readers. I also think in most situations we want to be in control of the aperture and adjust the ambient through shutter speed anyway? The only situation I would use shutter priority is for sports and nature if I did it. For motorsports for example I’d use 1/500 of a second to freeze the vehicle but allow some movement in the wheels/tyres. And in this regard TTL flash works differently from manual flash. That is the entire point of this article. That we be aware of the differences so that we can use this. eg, we can get the same effect that we have when we drag the shutter, but simply changing the aperture (or ISO) when we are using TTL flash .. and want to bring in the amount of available light. >> This may just be over complicating the situation for many readers. I would say that most readers who were not aware of these differences, would prefer knowing about this. What purpose would there be in constantly dumbing things down? I’d rather let the explanation stand on its own, and hopefully make a difference to some photographers when that aha! moment strikes. >> I also think in most situations we want to be in control of the aperture and adjust the ambient through shutter speed anyway? Yes, I agree with that. As I have repeatedly pointed out in the main article and subsequent comments, what I did there wouldn’t necessarily be the logical order to do things .. but that this article is an explanation of how our settings interact with TTL flash, and how this is different from manual flash. 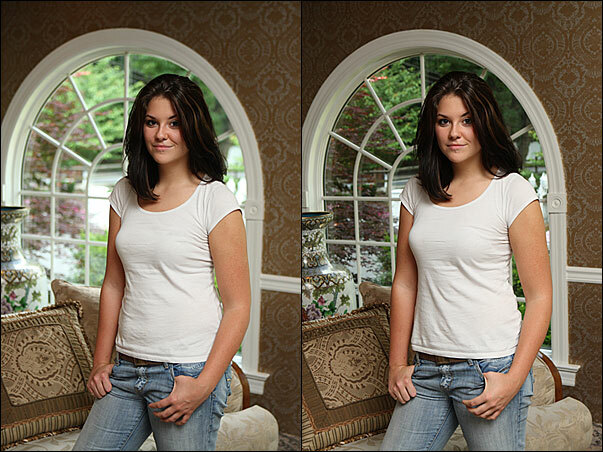 For me, these differences are crucial, and make manual flash and TTL flash quite different from each other. Thanks again for yet another useful bit of education. One thing that I am curious about, living in a dark, cold and wet country, is how all of this pans out in low light situations? I mean, you couldn’t expose for your background with shutter speeds of 1/125 or 1/250, you would need much lower shutter speeds for that. So what would you do to get the right ambient-to-flash mix, whilst maintaining hand holdability in low light (say sun down or midnight) in surroundings similar to the situation that you present as the subject of your blog post/tutorial, or even say in an outdoor shoot in low light? In cases where the available light is strong enough to register in the frame, thereby causing problems with subject movement .. you would then have to play with the balance by using a higher ISO and wider aperture. But when the ambient light is low, you could get away with a slower shutter speed. This article reminds me of “Dragging the Shutter” revisited. Just to confirm. It the same concept correct ? I’ve been looking at these pics for some time now and I probably miss the point here, presuming that the pic on the left is the first shot. The picture on the left looks great…it’s natural, nice dof, good balance between in- and exterior all it needs is some PS-work on the face. So why on earth, would you take that other picture (on the right)….? it’s flat, it’s got a distracting background because of the dof and the darker exterior. As I have repeatedly mentioned in this thread, the sequence of images is there to illustrate how aperture / ISO / shutter speed inter-relate when TTL flash is combined with available light. That’s the entire, unmissable point. Hi Neil as always, a fantastic read and very important lessons learned. One question….. you say that for this portrait you shoot behind your shoulder….how far are you from the wall or ceiling in question? I normally shoot wirelessly for manual but your TTL bounce portraits fascinate me! I can never seem to get even close to splashing enough light using this method with my 580exii. Any tips? P.s. 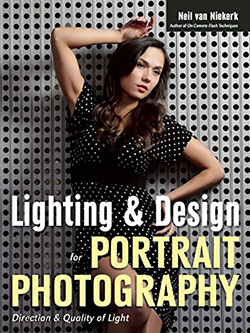 thanks for the tireless efforts to educate fellow photographers on the importance of light. For those images, I was working in the lobby area of a wedding reception venue here in NJ .. and I’d say the ceilings are 12 feet high (?) Fairly high, with no walls behind me. I just bounced over my shoulder into the room, hitting the ceiling behind me. You’ll be pleased to know that I reread one of your older posts and when I dialled in +1ev with a higher iso HEY PRESTO the lighting was spot on. >> Sure, the flash had to work much harder. In fact, it had to dump 4x the amount of light at f5.6 as it had at f2.8 … but my exposure remains the same. And this is the reason why even with TTL flash, we’d rather change the shutter speed first to affect our ambient exposure .. even if we don’t “have to” like we would “have to”‘ with manual flash. and why does changing shutter speed not effect the flash power output ?? re: shutter speed and flash, here is a partial explanation of your question. What the change in aperture implies, and how it affects your photographs .. those are some of the most basic building blocks of photography. It falls into the category of photography basics you Need To Know. I’m glad for the lesson on the inter-relationships, so thank you Neil. One thing I can’t seem to see is the direction of the light. It doen’t look straight off a ceiling and it seems to my eye, to be coming from the right. Bouncing over your left shoulder? Greg .. in this instance, I didn’t bounce over my left shoulder, but rather to my left, and a little bit forward towards the model. I used the black foamie thing to block the light from my flash directly hitting her. 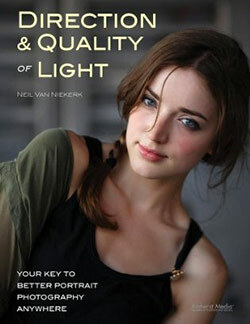 Neil, I’ve read your book ” on camera flash” and found it a great reading and teaching me an awful lot about flash. One thing though that really frustrates me is how you come to each camera setting eg shutter, apertue and iso. Where do you start ? Without flash and the light available i would use the lowest iso possible, then aperture for my desired DOF then matching my shutter. 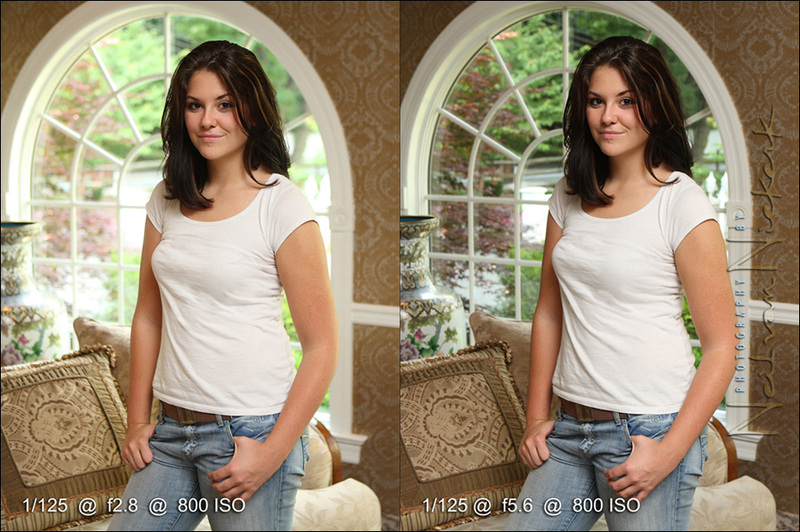 And this can be said for fill flash, but what happens when its low light and the flash becomes the main light source. Where do you start with your settings ??? Your images all have so varying settings. Hope you understand what i’m asking and don’t sound too dim. Thanks in anticipation. Dave … check the articles listed here on this page about off-camera flash. It explains the thought process. Even though the articles deal with off-camera flash, it is just as valid for on-camera flash. I’d like to say thank you for being so generous in sharing your knowledge particularly in flash photography! Thank you, thank you and thank you! 1.) I shoot almost exclusively in Aperture priority mode, will this limit me in “balancing flash with ambient exposure”? 2.) if it doesn’t, then I understand that with Aperture priority mode it left 3 parameters for me to play around and that would be: ISO, overall exposure compensation and flash exposure compensation. 3.) Did you set your flash zoom to it max or auto zoom during bouncing (TTL)? My objective is to register the background light source as well in my final output. So can you kindly please guide me which parameters to start adjust/configure with in sequence. Eg. ISO first, overall exposure compensation second and flash exposure compensation come in third. Reminder: I’ll be shooting in Aperture priority and TTL. With the guide, I hope I can start to experiment with it and hopefully through the practical I’ll get the idea of their relation. And for now I’ll just keep repeating these 4 articles, is there’s any that’s related to “balancing flash with ambient exposure” that I’ve missed out please do let me know. Please excuse my English as it’s not my native language, shall you need any clarification regarding above question, please do let me know, many thanks! js-chong … as you can see, you have to do a lot of second-guessing about what your camera is doing, and then have to adjust the over-all exposure compensation and the flash exposure compensation. It becomes a mad juggling process in my opinion. And that’s because you insist on shooting in aperture priority. It is for this reason that I shoot nearly exclusively in manual metered mode on my camera. It makes my life simpler. So I really can’t answer your question with the knowledgeable thoroughness that you expect. Hopefully someone else might chime in who does shoot that way. 3.) 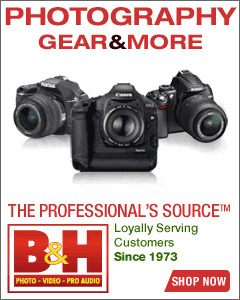 Do you set your flash zoom to its max or auto zoom during bouncing (TTL)? Thanks again for your time in replying me question. I, Neil, and a lot of others generally just zoom right in manually on flash head, 105mm for Canon, 200mm for Nikon. The reason being is that a lot of light is lost travelling to the source during bounce, and having a wider zoom setting defeats the purpose since the bounce can be concentrated more as it will diffuse off the bounce-source anyway. Really helpful article, but for a noobie like me, I am a little confused: Why would having a smaller aperture let more ambient light in? Should that not cut down on the ‘available’ light? OR, was that f/5.6 the right exp for the ambient light and then the flash adjusted itself to expose for the model? Casper … when you say “smaller aperture”, are you referring to f2.8 or f5.6 ? f2.8 is the larger aperture, and allows more light in. f5.6 is the smaller aperture, and less light comes in. I am still having trouble understanding flash range. You stated that “with TTL flash, our choice of aperture, (within reason), has no effect on flash exposure. (This is also true for our choice of ISO. )” Could you expand further on what you mean by “within reason”? Also, when you bounce a flash off the wall, how do you know what your flash is capable of without hitting its limits? How do you know the limits of your flash? Thanks for your helpful response. Now I’m starting to understand how things fall together. I also sometimes notice that when bouncing my flash, the image gets so overexposed that no amount of FEC will fix the problem. Does this mean I will have to adjust the ambient by my shutter/aperture/ISO? This is assuming I am still shooing in TTL mode. so OVEREXPOSED??? Are you shooting in Manual with 0 exposure compensation and 0 FEC?? something doesnt sound right. The next thing I would do is make the adjustments you mention, lower the ISO and adjust the shutter and aperature. Neil?? Bringing my ambient down by the aperture/ISO/shutter speed combination in TTL solves the problem. This overexposure occurs mostly in the evening when there is almost no light as I try to zero out the in-camera meter by bringing my ISO way up, shutter speed way down, and opening my aperture as wide as it can go. This is because I want to register even the faintest amount of available light instead of totally illuminating my subject with 100% flash. I use my flash in TTL mode with both exposure and flash exposure compensation set to zero, and bouncing off from a wall beside me. A typical reading in such scenarios might read ISO 6400, F/2.8, and 1/20 of a second. This more often than not will yield a photo that is grossly overexposed. Readjusting my ambient settings solves the problem. My question is, is it possible to catch some of the available light without letting it totally overexpose? Dragging the shutter works fine, but sometimes I need a higher shutter speed and the only way to do that is to open up the aperture and increase the ISO. Sorry for going through this mess. I really appreciate your help!!! By those settings ISO 6400, f2.8 and 1/20th with flash set to no compensation, no wonder you are grossly overexposed. I have no idea what/where you are shooting in, but those readings would light up a black cat’s bum in a coal mine during a blackout. You would be choosing so close to full correct exposure by ambient alone, and with no compensation no wonder the flash is grossly overexposing. With settings like those you would need to have your flash dialled way down minus. Try an ISO of around 1600, 1/80th-100th and f2.8 and flash will take care of it. When you said in evening with almost no light and you are still trying to zero the camera’s meter out, it just won’t look good, you need that darker background to maintain the night mood and flash on top of ambient gives a very pleasing effect and if bounced right, a good modelling effect will occur. You need to test try some shots, keep a note from your exif data to see what works and what does not. Hi there Charles … Trev and Mike have already given you solid advice here. I wanted to add this … if you’re at 6400 ISO and 1/20th of a second at f2.8 … you’re probably already over-exposing your ambient light. If not, at those settings, your flash simply has no time to quench its output, and you will over-expose the flash. You’re simply operating the flash in a range that isn’t practical. 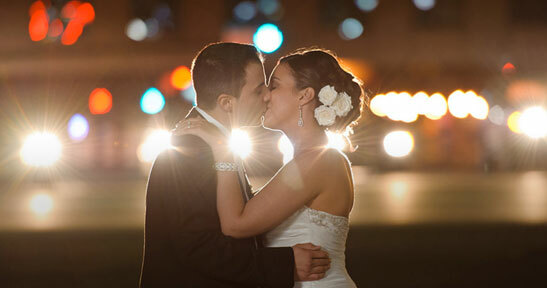 You don’t need to expose correctly for the ambient light when using flash, when shooting in low light situations. You want the FLASH to do the work for you. Here’s a good place to start. 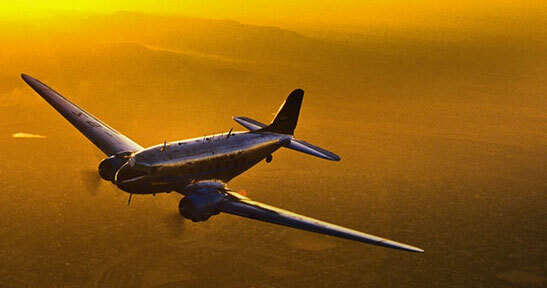 Here’s another article on blending flash with ambient light. The way you’re using flash & ambient light there, you’re definitely NOT “pushing your flash too hard”. Quite the contrary. So going from f2.8 to f5.6 tells the flash, on TTL, to send out more light automatically to get the correct exposure. How is that not the aperture controlling the flash? It’s the same as if i had to walk over to a flash on “manual” and change the setting. The mantra that is given to photographers is: “Aperture controls flash / Shutter controls ambient”. What I am illustrating here is that with TTL flash, this goes out the window, because images shot at f/2.8 and f/4 and f/5.6 will all be similarly exposed. Not so for manual flash. 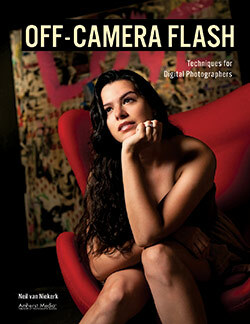 And that is the point of this article – you can’t control your flash exposure for TTL flash, by adjusting the aperture. In other words, if you were shooting at f/4 with manual flash, and it is over-bright, then changing to f/5.6 (or thereabouts) would give you correct exposure … because changing the aperture directly affects your flash exposure. Not so for TTL. You have to adjust your TTL flash exposure by adjusting your FEC. This is the fundamental difference between TTL and manual flash. And while photographers repeat the line “aperture controls flash exposure” with no real understanding of what is happening, they will remain confused when using TTL flash. Why? Because with TTL flash, changing the aperture doesn’t change the flash exposure. I don’t think this really clarifies anything. Aperture doesn’t have the same effect in TTL because the flash power is changing, although it is changing transparently to the user. Your article also doesn’t address the difference in DOF when changing the aperture, which may or may not be of concern to the photographer. In your example here I would likely have chosen to drop my ISO, retaining the DOF I’d wanted with the open aperture I’d already chosen. Also, I’ve never heard that only aperture changes flash exposure and have always heard that aperture, flash power and ISO all have an effect. What I have heard is shutter speed has no effect on flash exposure as a single statement…. That is the entire point of this specific article. Carlos – yes, the DoF changes as you change the aperture, but it isn’t the topic here. For clarity, I omitted that, especially since it has no effect on exposure. Right here, with this article, I am explaining this one thing – how the old axiom of “aperture controls flash” changes when we use TTL flash. And it does change fundamentally in HOW we use flash. The exception, or complication if you will, is that if you go to high-speed flash sync, shutter speed becomes a linear control of the flash exposure. But we’ll leave that aside now, to focus on the explanation of how TTL flash and manual flash differ. But I had to just skirt around that complication again. But even there, there isn’t a simple blanket rule. Everything splinters off into more detail and more complex inter-relationships of what would appear on the outside to be a simple matter of camera settings. Accordingly, you have to keep in mind that this article shouldn’t be seen as a stand-alone explanation of everything involving flash. 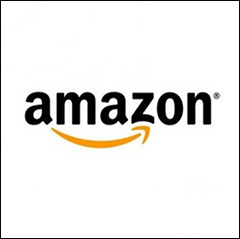 There are linked articles which take the discussion further. And with all of them, the discussion is also continued in the comments here – usually not as a blanket critique but preferably as a discussion helping everyone. One question – leaving aside the fact that you were setting up a specific comparison to prove a specific point with your two images of Jackie above: would it have made more sense to adjust ISO down to properly expose the ambient light instead of aperture? If the answer is yes, then I think I understand all the principles you have outlined here… In TTL mode we can control our ambient exposure with shutter speed, aperture or ISO or any combination of them (whichever serves the purpose of the image better). To control flash exposure in TTL we just use the FEC control alone. I wouldn’t say it would make more sense to adjust the ISO instead of the aperture – rather, we could say it makes as much sense as changing the aperture. You nailed it in your second paragraph. Ambient exposure is controled by shutter speed,aperure,iso. Flash (manual) exposure is controled by power/distance of the flash light. Total exposure on the subject is combination of ambient and flash exposure.